Renault's scrappage scheme is back, allowing buyers to save up to £5000 on a new model when they trade-in their old car. 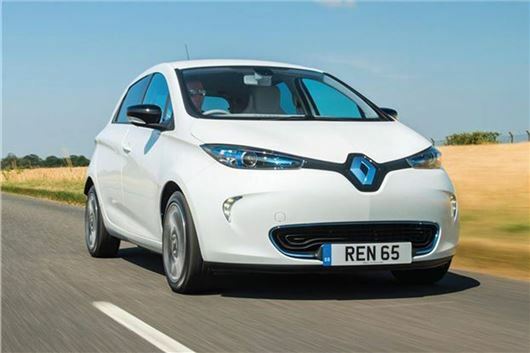 Applicable to the full range of Renault's new car range, the scrappage scheme lets buyers save a total of £9500 on a new all-electric Renault Zoe when the existing government plug-in car grant of £4500 is combined with a potential scrappage saving of £5000. Any car or light commercial vehicle, from any manufacturer, registered before 31 December 2011 can be traded-in. The vehicle must have a valid MoT and have been registered to the owner for at least 90 days. Renault’s Twingo, Clio and Megane are also eligible for savings through the Renault scrappage scheme, as are the Scenic and Grand Scenic. Renault’s SUV range - including the Captur, Kadjar and Koleos - are also involved in the scrappage scheme. The Renault scrappage scheme is active now and runs until 7 January 2019. The new Renault must be registered by 31 March 2019. The scrappage scheme is not compatible with any other finance or cash offers but can be used in conjunction with Renault’s £500 test drive offer.